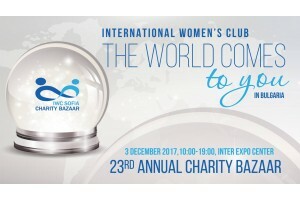 Kammarton Bulgaria supported the cause of the International Women's Club Sofia through its participation in the Scandinavian stand at the annual Christmas Charity Bazaar on 3 December 2017 at the IEC - Sofia. The Charity Bazaar is organized for the 23rd consecutive year and unites the efforts of 56 countries and their cultures to raise and donatе funds for noble causes in Bulgaria. It is an honor for us to be part of this noble undertaking and to participate in its realization.